OK, so I have the FPV transmitter with camera, and receiver with monitor. Don't worry, the FatSharks will arrive in a few weeks. In the meantime I'm putting together my ground station. Now I need a mini DVR to capture the FPV video. It seems to me that if they can make something as small and as good as the dvr in the 808 #16 for under $50, they should certainly be able to make the dvr minus the camera for around the same price. I've seen some units on ebay and Amazon, but haven't been satisfied with the information available. So what dvr do you use? Please include a link to where to buy it along with your mini-review. Specs, pictures and videos are heartily welcome. My goal here is not to produce the best aerial video. That can, of course be accomplished using an HD camera with video capture on board the platform. What I want to do is to capture exactly what the pilot sees through the FPV camera, including the static, OSD info (if any), etc. To that end, I'm hoping to compile here, with everyone's help, a list of mini or micro dvr devices to use with the ground station. I'm sorry. I should have mentioned that since I was only going onboard, I hadn't looked into any ground station DVR's. It was late and I was a lil loopy, and next time if I can't give any advice I'll just keep the ol' trap shut! Maybe I can redeem myself a tad though...check out some of xjet/rcmodelreviews videos on you tube. I am sure he's done a few on some ground station dvr's. No problem. I can always use an extra 2 cents. I didn't actually mean for it to be a criteria. I was just saying that if a DVR and camera combo cost $50, then a DVR alone shouldn't be too much. Of course more features will translate into more $$$. What I was hoping for, is for folks to tell me what THEY are using and how they like it. 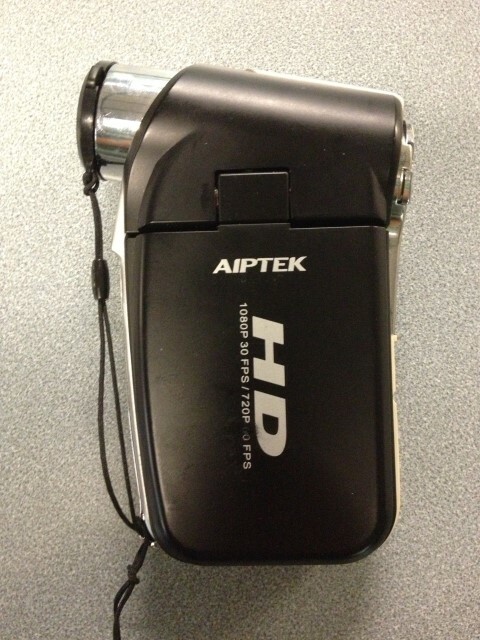 I use an old Aiptech digital camcorder. Not as funny that way, but it is a nice camera. I've been using a stripped 808 mounted beside the fpv camera. It weights six grams without the case, but is kind of a pain to start. The main reason I haven't set up a recorder is because of the intermittent glitches in the video feed. I intend to have both. I have the GoPro mounted on the aircraft to capture video, and I will have the ground recording with glitches and all, as my "black box" to help reconstruct any problems I might encounter. It will show me where my static issues are, where I crashed, when I do. It will also make a good comparison to the HD footage in upcoming videos. It never occurred to me before, but having a ground station recorder would really help to find lost planes. I've had a few that took a while to find. One in particular, that I never found. This was in the mid 90's when FPV possibly didn't even exist. I had a TopFlite that went to the horizon at full throttle. I saved forever for that motor!!! One thing that seemed to be missing when I first started getting interested in FPV, was a true representation of the FPV Pilot experience. We've all been treated to beautiful aerial videos, wonderfully edited with music, and we (at least I), got the impression that the crystal clear video is what you saw while flying. Whenever I did see a real FPV capture, I always thought it was a bad system or something. I really think we should make an effort to distinguish FPV video from HD aerial video. I also intend to have both, but using two cameras. The FPV camera for flying (eventually with head tracking) and the HD camera for capturing those "beautiful aerial videos" so that I can "wonderfully edit it with music". And THAT'S why I want people who have done this to share what equipment they're using, what's good, what's not, and where to buy. Hey, look what just dropped into my lap, figuratively speaking. It was shoved away in a drawer, unused, and unlamented. I charged it up and was able to take a video clip and picture. I also have a couple of cables, RCA jacks, but they may not be correct for this camera. I downloaded a manual, but I may be picking your brain on how to use it to record from an external video source. And whether I even have the right cables to do so. It's easy, the only thing that might be wrong with it, is wether or not it will record through loss of signal. The one like that I had would stop recording if the glitches got too bad. I'm using two. One for onboard recording, in HD, and the other gives me my video feed for downlink. That Aiptek camera looks interesting, aux A/V recording, wow. I searched ebay for one and there are alot of different models. Does anyone have a suggestion? 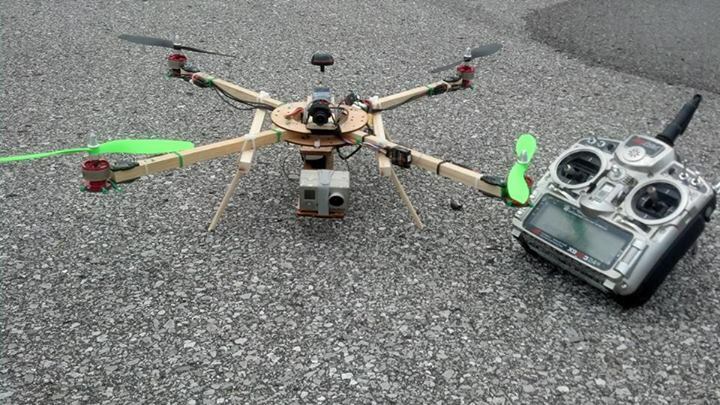 I would like it to record my ground station video. 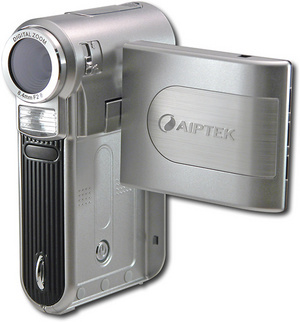 I have changed my mind, I have had very little luck with the Aiptek and am now in the market for a better DVR. I have heard mixed reviews about the recording quality of the under $50 HK DVR, so it looks like I'll be shopping in the $100 range. ReadyMadeRC offers one that's got decent reviews. It may be the one I end up with.